At RedHorse, we like to keep things simple. One of our mottos is “It’s Included”. So it’s appropriate that our software pricing policy should be simple and all-inclusive too. Software prices INCLUDE maintenance for the first year, so there are no hidden costs over the price of the software. No surprises when budgeting your software purchase of RedHorse. Maintenance includes free updates to the software for one year. Maintenance is optional during the second and subsequent years. We do updates FREQUENTLY so we think you’ll want to stay current. But it’s your choice. When purchasing maintenance, there are no minimums over the number of seats that you purchase. If you purchase one seat of RedHorse, you pay for one seat of maintenance of RedHorse. All upgrades are available free of charge when you are current on maintenance. We don’t distinguish in our maintenance policy as to whether an update is a “big” update or a “small” update. All updates are included. If you decide not to purchase maintenance, there are no penalties or “back maintenance”. Should you decide to purchase maintenance at a later date, we have a graduated upgrade pricing scale to get you current on the latest version and current on a new maintenance plan. At RedHorse, you will never have a back-maintenance or pentaly fee that would result in you purchasing the product at a price higher than retail. If you aren’t current on maintenance, you can still purchase additional licenses for RedHorse. 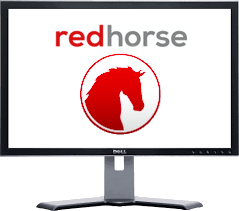 You can purchase additional licenses plus maintenance on existing licenses to get your entire system current, or you can purchase additional licenses without upgrading existing licenses and continue running an old version of RedHorse. It’s important to us to keep things simple and fair. We know you will appreciate it!